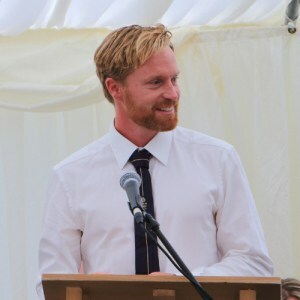 We were delighted to welcome former St Peter’s pupil Ben Rhodes, who is now also a parent of a child at our school, as our guest speaker at our 2017 speech day. Olympic sailor, Ben, enthralled the children and parents by telling them about his journey from schoolboy sailing at the Exe Sailing Club to becoming the world champion in the 49er boat in 2007. It has also been our pleasure this year to take several old boys who now live in Australia on tours of our school with their wives. We have been hugely pleased to receive photos and memorabilia from their time at St Peter’s. We love to hear from former pupils and, if you complete this form and return it to our Registrar & Marketing Manager either by post or via admissions@stpetersprepschool.co.uk, we will make sure you receive an annual copy of our Harefield Magazine and we will contact you about Alumni-related events. As mentioned above, if you attended St Peter’s at any stage of your education or career, please fill in this form with your communication preferences and we will ensure that you receive updates and news about continued goings-on at the school. We can also ensure that you receive a copy of our yearly Harefield magazine. 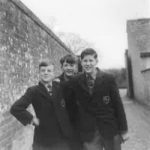 We have also recently discovered the following photographs from around the school that we believe to have originated sometime during the 1950s. If you have any more information, or indeed if these photographs jog any memories, we would love to hear from you. You can contact our Registrar & Marketing Manager, Rachel Elliott via admissions@stpetersprepschool.co.uk. 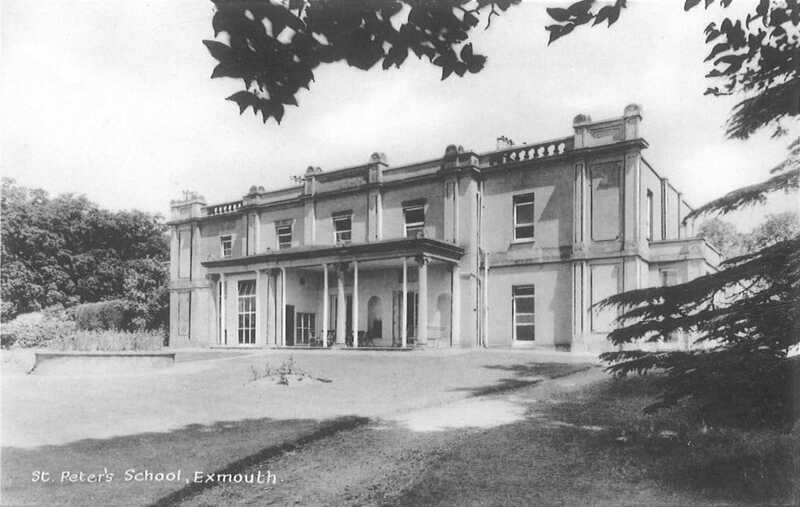 Harefield House, circa mid 1950’s. We are reliably informed that the 6th form inhabited the small glass area to the front of the building. 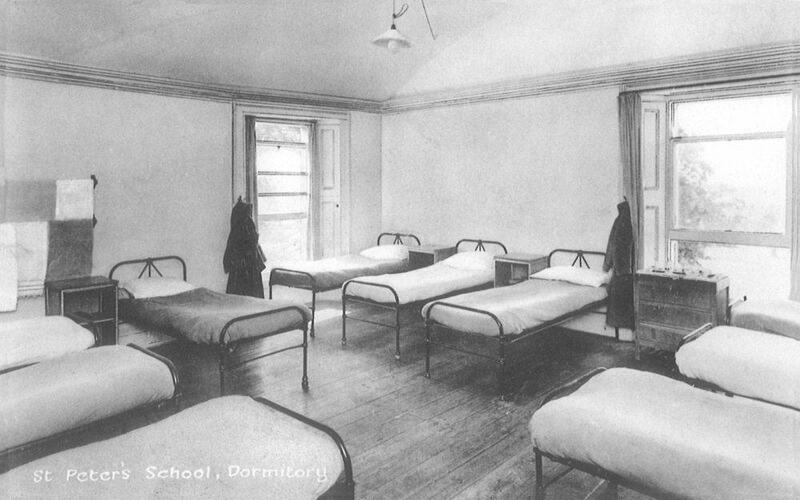 Classroom, circa mid-1950’s. 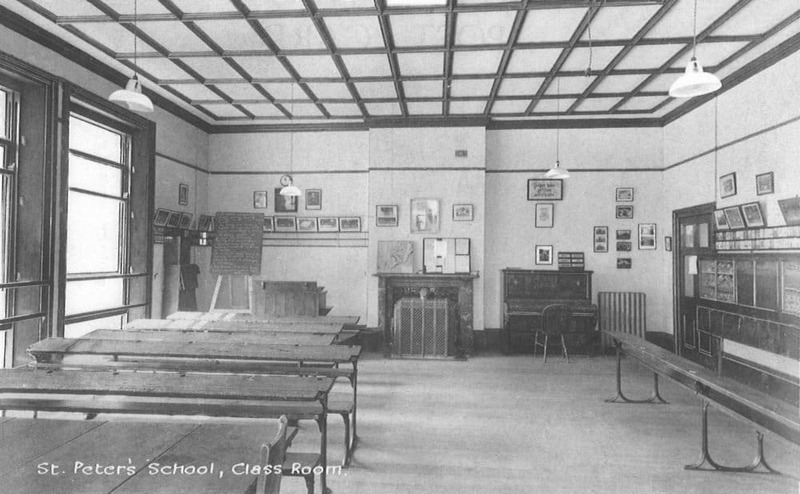 We believe that assembly and prayers were held in this room in earlier years, with a stage to the front of the class and a museum along the right-hand side of the room. 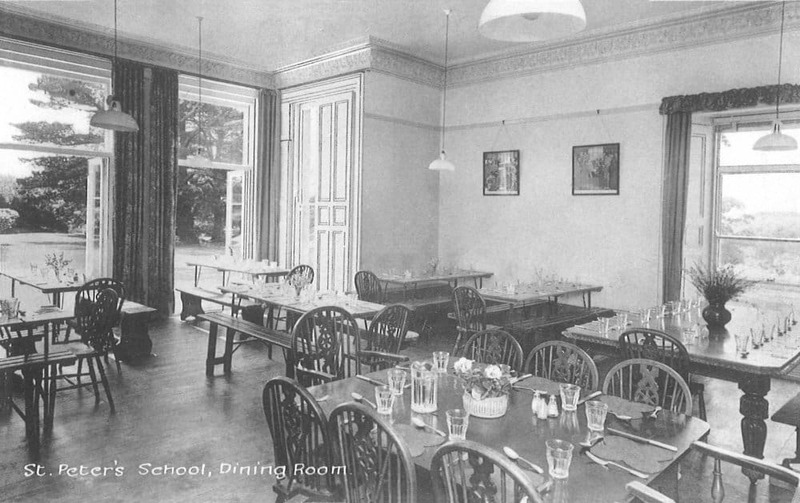 The dining hall during the mid-1950s. We are reliably informed that this was largely unchanged from its appearance in earlier years. 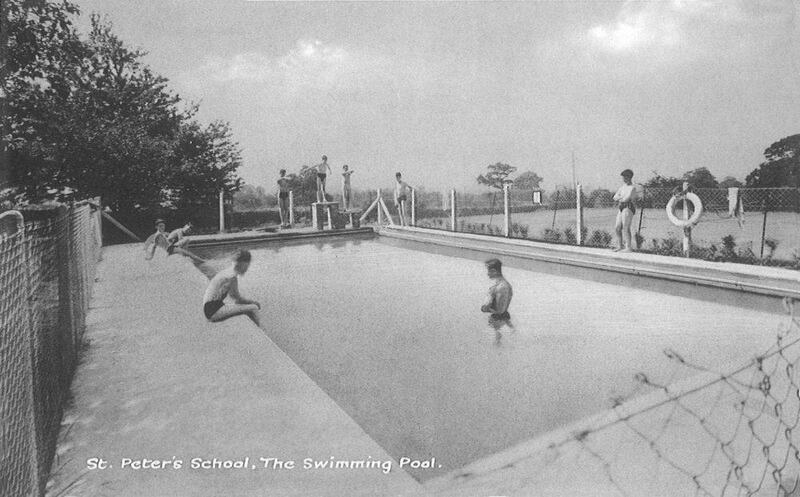 The swimming pool was constructed during the 1950’s and is still in use today. 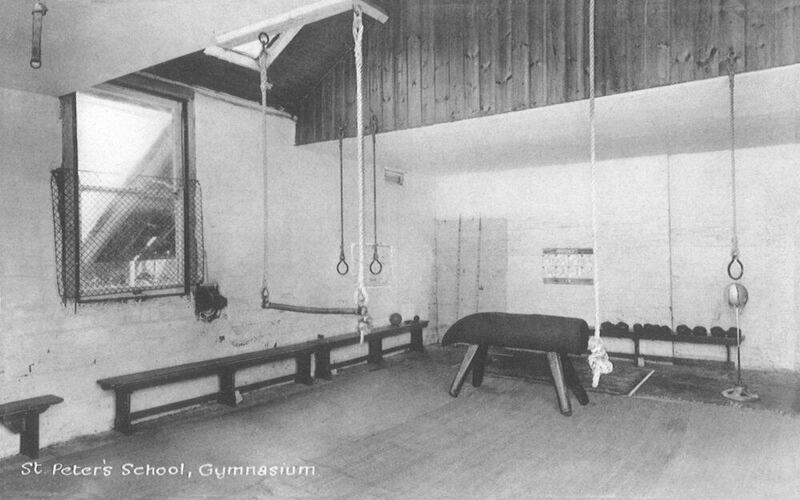 This gymnasium was constructed in the 1950’s.